"Close to schools, shopping, theatre and TTC!" 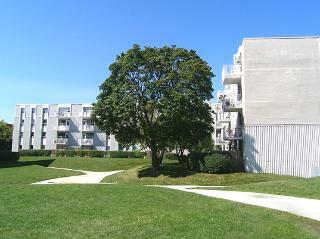 Steps to schools, shopping and TTC. Call us today to view one of our two bedroom suites! Book your showing at 416.424.1099! Conveniently located at Don Mills and Eglinton, 30, 32 and 34 St. Dennis Drive present residents with a plethora of options, including several schools, shopping centers, restaurants and theatre. Our newly renovated suites must be seen. Visit us today! Call us at 416.424.1099 to schedule your showing!